Accuweigh is offering the A302 pallet scales at a discounted price in July and August 2013. 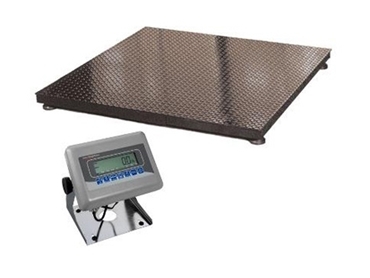 Featuring a 1200mm x 1200mm steel checker-plate weighing surface, the A302 pallet scales are suitable for weighing standard sized pallets as well as general purpose weighing applications. The all steel construction comes with a painted finish. Accuweigh’s A302 pallet scales are fitted with 4 x 1t capacity loadcells and feature self-aligning levelling legs to allow use on uneven floors. A high quality Avery E1005 digital weight indicator generates the weight readings and can be powered from mains power or the internal rechargeable battery. A302 pallet scales are available in a 3,000kg weighing capacity with increments of 1kg for non-trade use. The A302 pallet scales are available from eight Accuweigh branches across mainland states.